Warm, bright shades are shunned by fairies of the night. 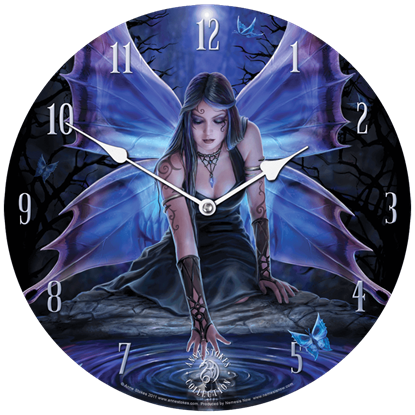 Deep purples and violets convey a shadowy feel in this Immortal Flight Wall Clock by Anne Stokes, in which a gothic fairy peers into a rippling pool. 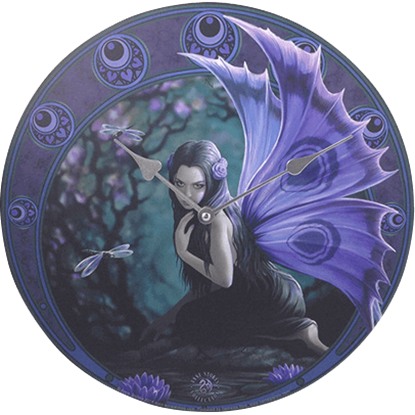 Many fairies possess some form of magic that they reveal only to those lucky enough to witness it. 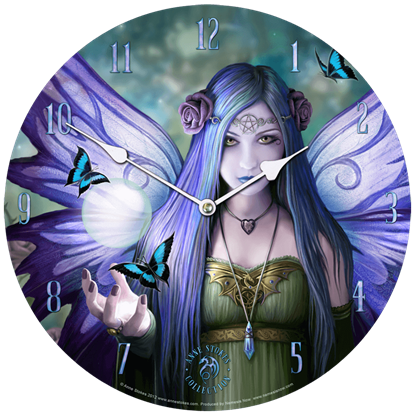 The Mystic Aura Wall Clock by Anne Stokes showcases a violet fairy suspending a mystical orb of light above one hand. Naiads are water nymphs from Greek mythology, their beauty and supernatural abilities worshipped in many cultures around the world. 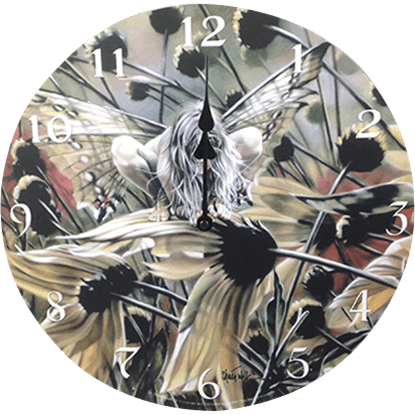 This Naiad Clock by Anne Stokes showcases a fantastical interpretation of this fresh water spirit. 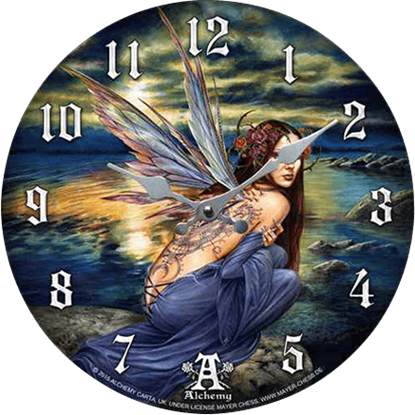 Fairies reside in all sorts of different places, even in the vast and unfathomable sea. 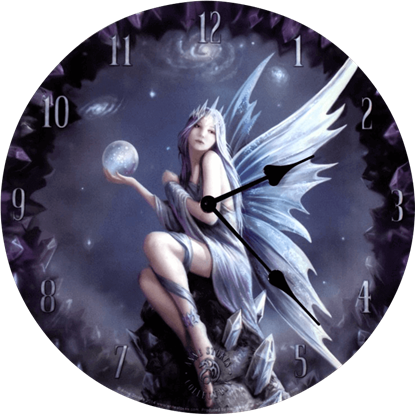 Showcase the wonderful moment at sundown when this angel of the water feels most at peace with the Ocean Fairy Clock as a part of your decor. 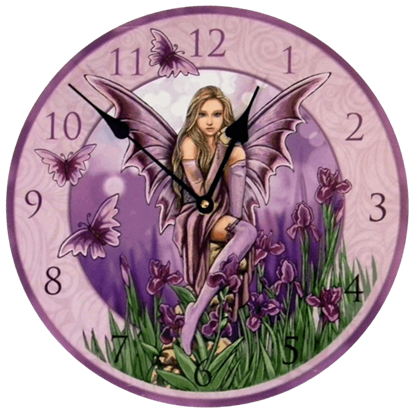 Never be late again as long as the Purple Fairy Clock by Lisa Parker is hanging inside of your home. 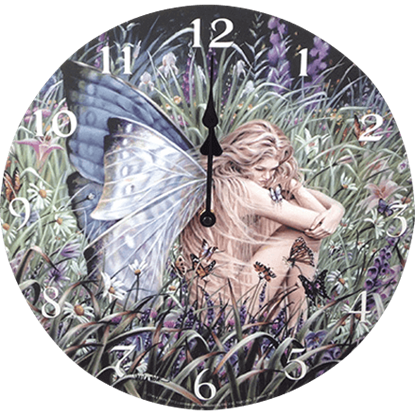 This stunning fantasy themed clock is sure to become a treasured time piece for anyone who loves fairies and nature. 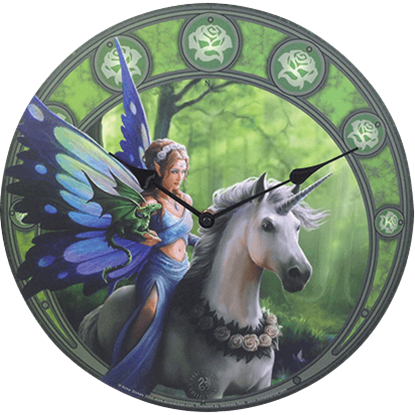 Fairies, unicorns, and dragons are each intriguing characters found in the fantasy realm. 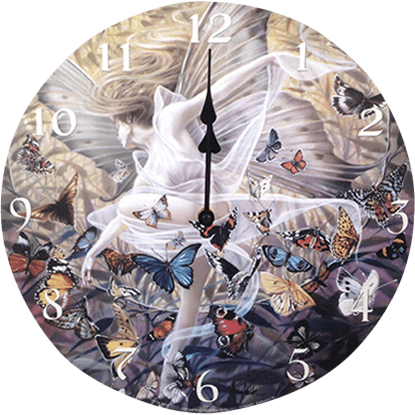 When you put them together, as depicted in the Realm of Enchantment Clock by Anne Stokes, they create a stunning scene full of mystical charm.